During your internship with Grace City Leadership Institute, you will work along side many of our staff and leaders who are dedicated to making a difference in the city of Lakeland and around the world. We are excited to get to know you and work alongside you to create environments where people are encouraged and inspired to draw closer to God, connect with others in meaningful life-giving relationships, and discover their gifts to use them for the betterment of others. 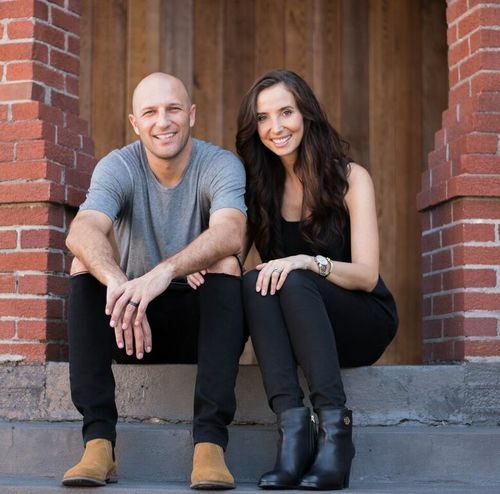 Andrew and Christina Gard are the Lead Pastors of Grace City Church, a Hillsong Family church in the heart of Lakeland, Florida with a desire to serve our city and make an impact around the world. Andrew is originally from Tacoma, WA and Christina was born and raised in Alaska. They met on a blind date in college at Northwest University and were married in 2005. Since marrying, they have been in full-time ministry and have served the church in a variety of capacities ranging from children’s to college ministry. They moved to Lakeland in 2011 and are passionate about introducing people to Jesus and seeing lives transformed. Jon Laurenzo is the GCYC Pastor and Ministries team lead which oversees Grace City Kids, Youth, Welcome Team, and GCLI at Grace City Church. Jon was born in Hawaii and raised in Seattle, WA. He was saved at 17 years old, and has been serving in full time ministry in a variety of roles including youth, young adults, and worship. He moved to Lakeland in 2015 to help plant Grace City Church. His passions include leading people to Jesus and seeing young people planted in the house of God. In his free time his passions include reading, traveling, spending time outdoors, Seattle sports, and golf. Alec Cantrell is the GCLI Coordinator at Grace City Church in Lakeland, Florida. Along with his wife Madelyn, they share a passion to serve their city and see a generation of students become Christ-like leaders within their desired careers. Alec is originally from Columbus, GA, and came into a life-transforming relationship with Jesus at the age of 18. He moved to Lakeland to attend Southeastern University, where he met his wife after finally convincing her to grab coffee with him. Some of his hobbies and passions include coffee, reading, traveling, outdoors, all Atlanta sports, and Disney.